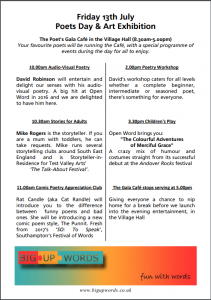 The Poets Gala Cafe in the Village Hall (8.30 am -5.00pm) Your favourite poets will be running the Cafe, with a special programme of events during the day for all to enjoy. 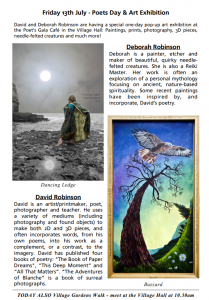 All day in the cafe David Robinson and Deborah Robinson will have their artwork on display to enjoy and buy. 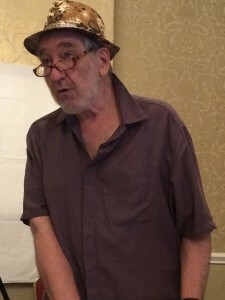 Mike Rogers is our storyteller. If you are a mum with toddlers, he can take requests. 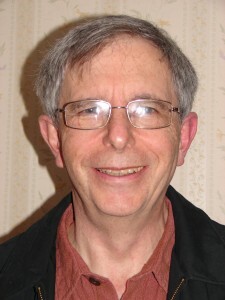 Mike runs several storytelling clubs around South East England and is Storyteller-in-residence for Test Valley Arts foundation “Talk About” festival. David’s workshop caters for all levels whether you are a complete beginner, intermediate or seasoned poet, there’s something for everyone. A colourful adventure of a mechanical maid who wants to bring her robot friend a present “Of the best blue paint “and the mishaps and creatures she meets along the way. 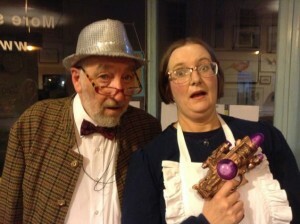 A wonderful mix of humour and costumes straight from their sucessful debut at Andover Rocks Festival.
. Come and perform your poetry workshop poems. 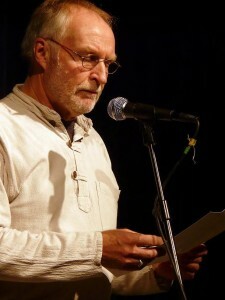 Our guest poet is David Robinson. This will give you the opportunity to see his audio-visual poetry if you missed it in the morning. 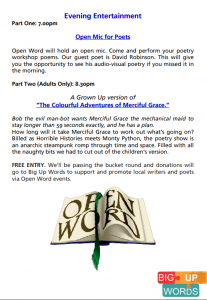 Part Two (Adults Only): 8.30pm A Grown Up version of “The Colourful Adventures of Merciful Grace.” Bob the evil man-bot wants Merciful Grace the mechanical maid to stay longer than 59 seconds exactly, and he has a plan. How long will it take Merciful Grace to work out what’s going on?